Includes 17 courses for $499/year. The full course is 31 minutes long and available in a number of affordable formats. 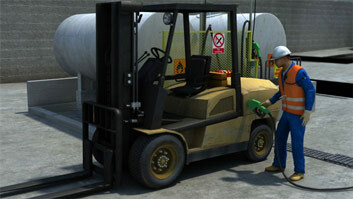 Forklifts are one of the most common ways to transfer items to and from a warehouse's, trucks, and railcars. 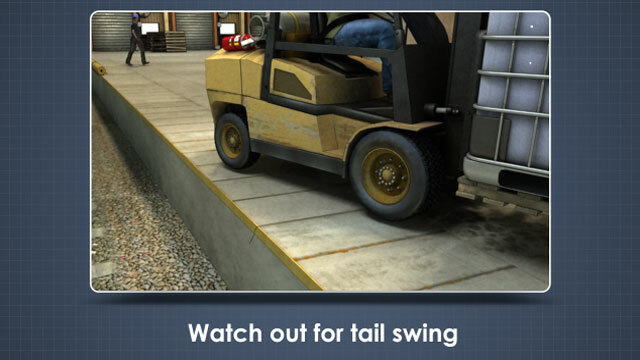 Tail swing is when you place your rear wheels close to or over the edge of a loading dock. Doorways with more than a 4 foot drop require a protective barrier when not in use. Warehouses are large, open rooms or structures commonly used to receive, organize, store, and ship goods to customers or other facilities. 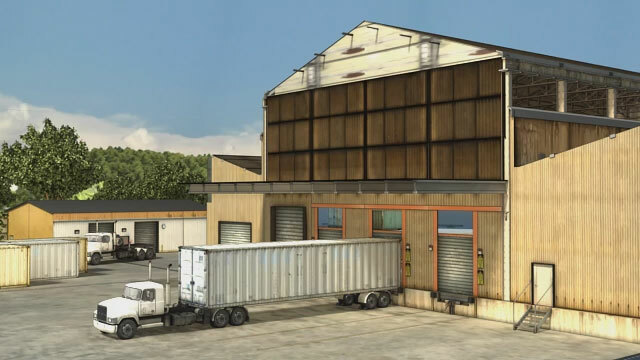 Most warehouses have a loading dock where trucks and railcars can be loaded for shipment of finished goods. High noise levels, limited visibility, use of heavy equipment, and 24-hour operations can make warehouses and loading docks extremely dangerous work areas. To safely work in this environment, employees should be properly trained to recognize and avoid common hazards. 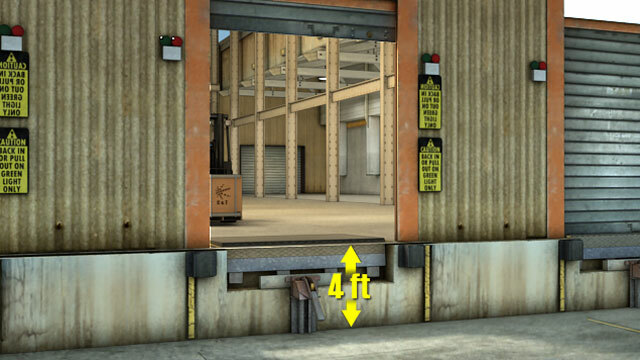 What loading dock procedures should you be sure to follow to avoid increased risk of collisions and falls? Always be sure that: dock areas are clean and clear to avoid slipping hazards, dock edges are painted, curbed, or guarded for better visibility, ramp and dock plates are curbed or guarded, and that stairs and ladders have approved rails. 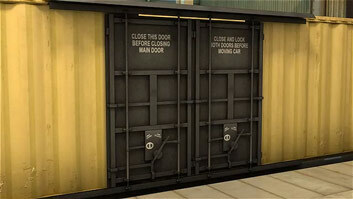 What are some of the most common hazards in warehouse and loading dock areas? 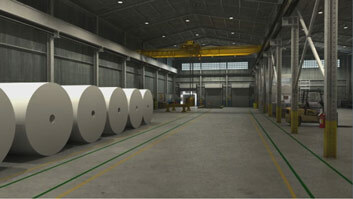 Some of the most common hazards are: failure to use required PPE, improper lifting and repetitive motions, failure to follow energy control and lockout/tagout procedures, unsafe forklift operation, improper material handling and storage, ineffective or absent guarding of conveyors and opening in floors and walls, inadequate fire safety equipment and emergency procedures, and poor housekeeping. What are some common types of PPE required for workers in a warehouse and loading dock to wear? Common PPE for warehouse and loading dock workers include: hearing protection, safety glasses, work gloves, steel-toe shoes or boots, and high visibility clothing. 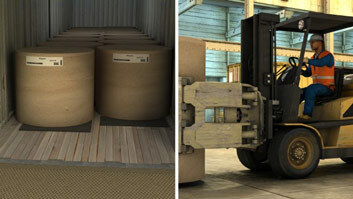 What should you be sure to do when manually moving or lifting materials? Always be sure to take scheduled breaks to walk or stretch, use proper posture, use ergonomic mats when standing for a long time, follow safe lifting procedures, wear a lumbar support belt as needed, and get help or use lifting equipment for heavy or awkward items. What are some pedestrian hazards that can be caused by working in a close proximity of a warehouse or loading dock? Limited visibility, high noise levels, and miscommunication can all lead to pedestrian injuries and fatalities. 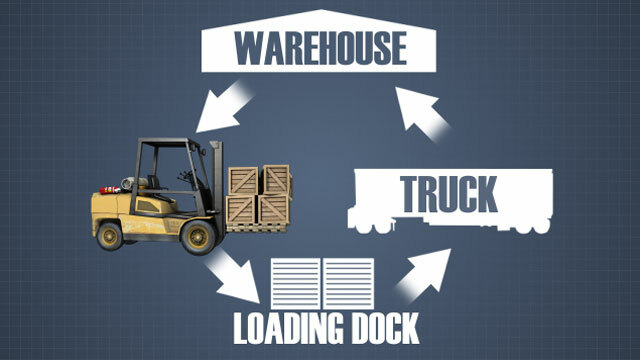 What precautions should be taken when using a forklift to transfer items to and from the warehouse to trucks and railcars? 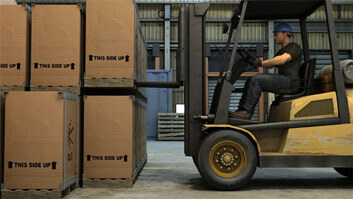 When driving a forklift, always: wear a seatbelt; maintain a clear line of sight and always look in the direction of travel; drive at a safe speed (usually no faster than 5 mph); observe all intersections, corners, and areas of limited visibility; avoid creating pinch and crush points for other workers; avoid overloading the forks or overextending the mast; stay clear of loading dock edges. What are common hazards associated with truck trailer and railcar loading and unloading? Common hazards include: truck trailers or railcars moving unexpectedly, unattached truck trailers becoming unbalanced and unpending, and unsecured dock plates moving unexpectedly. What can happen to improperly stored materials? Improperly stored materials can fall ignite, or react to chemicals, injuring workers and damaging property. What are some good housekeeping habits your facility should always follow? Cleaning up any and all liquid spills (oil, grease, or water), keep emergency exits and equipment clear from obstructions at all times, keep pedestrian walkways free of potential tripping hazards, and keep the shipping office clean and organized. Some of the most common hazards in warehouse and loading dock areas arise from failure to use required PPE, improper lifting and repetitive motions, failure to follow energy control and lockout-tagout procedures. Unsafe forklift or other mobile equipments operation, improper material handling and storage, ineffective or absent guarding of conveyors and openings in floors and walls. Inadequate fire safety equipment and emergency procedures, and poor housekeeping. Fortunately, the injuries, fatalities, and costly property damage as a result of these hazards can be avoided with proper training and effective oversight.